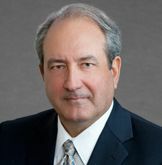 Steve was one of the firm's founding partners, currently serves as General Counsel and has served in virtually every position of responsibility including Chairman and Chief Executive Officer for four years, Section Head of the Business Litigation group for over 15 years and as a member of our Shareholder Compensation and Management Committees. His practice focus is on commercial/business litigation, arbitration, mediation and federal/state receiverships. Steve has represented inpiduals, companies, partnerships and other business interests in litigation disputes involving intellectual property disputes including patent, copyright, trademark and trade dress; fiduciary relations; account collections; sales, warranty and deceptive trade practice; partner/shareholder relations; banking; lender liability; real estate sales, development and leasing; arbitration; building and industrial construction; surety; manufacturing; telecommunications; trade secrets; employment covenants; housing discriminations and securities fraud. Aside from the preparation and presentation of jury and non-jury trials, Steve's work includes arbitration, mediation and receiverships. He has completed the mediator training sponsored by the Dallas Bar Association and has mediated over 90 cases. He also conducts private arbitrations and serves as an arbitrator for the American Arbitration Association. He has worked extensively in federal and state receiverships and has served in several Federal District Courts as a court appointed Examiner in large securities fraud cases.